Gay bars are vital within our narrative. Gay bars were the forefront environments of social change, where both gay and transgender activists encouraged uprisings for our rights. Gathering places for the gay community have operated as far back as the 17th Century, where drinking establishments at least tolerated openly gay clientele in several major European cities. Throughout the centuries, gay bars were raided, but still persisted. A game changing example were the 1969 Stonewall Riots, which took place at the Stonewall Inn. Historically, the importance of these places are significant to our stories. But this leaves the question: should our safe, alcohol-centered queer spaces evolve? The Center for American Progress released a new issue brief on “Why the Gay and Transgender Population Experiences Higher Rates of Substance Use,” and what can be done to reduce these rates. Specifically, the brief mentions that an estimated 20 to 30 percent of gay and transgender people abuse substances, compared to about 9 percent of the general population. Additionally, twenty five percent of gay and transgender people abuse alcohol, compared to 5 to 10 percent of the general population. Besides that fact, many young LGBT people who aren’t old enough to drink may find themselves barred from the supportive atmospheres they need. This is especially important in areas that do not have LGBT plus community centers, support groups, or GLCC’s. Even outside of community centers, LGBT teenagers and young adults need appropriate spaces where they are safe from substance abuse. Another point is that substance abuse survivors need supportive spaces to prevent them from relapsing. The fact that our history seeps so deeply in the presence of bars and nightclubs makes this problem very unique to our community. The first step to working past this issue is to recognize it, and then create LGBT programs to specifically fight substance abuse. According to the National Survey on Drug Use and Health, roughly 8 percent of all Americans use illegal drugs and 20 percent binge drink. However, when compared to their heterosexual counterparts, LGBT people are twice as likely to binge drink and five times a likely to drive while intoxicated. In South Florida, there are programs like Lambda South in Fort Lauderdale, Lambda North in Lake Worth, and The Pride Institute. Lambda North and South provide meeting space for community meetings, conferences, and communication between groups and service organizations of Alcoholics Anonymous and other 12-step programs. The Pride Institute of Florida at Fort Lauderdale Hospital provides likewise inpatient and outpatient treatment. Alternatives to gay bars and nightclubs are already growing within the country. In various cities, LGBT bookshops, coffee shops, sports leagues, and establishments are opening for the wider gay communities. 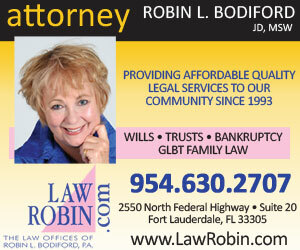 In the Palm Beaches, there’s a business network meant for LGBT-friendly partners or businesses that cater to us. But as our community grows past social exclusion in the wider world, we must fight against inside exclusion of our own LGBT plus brothers, sisters, and community members. As our narrative grows, so should our safe spaces.